"I grew up with an immigrant father - his background is Italian and none of his family came to Australia with him. In Italy, food is central to culture. For an immigrant in Australia, food is a living link to the homeland, the family and that distant culture. Subsequently, food and its origins are an important part of my life. I grew up around food, we grew some and celebrated food regularly - much of it not common in Australia at that time. We would go to Italian Delis to procure the meats and vegetables of his homeland, we ate seasonally and preserved the gluts of the season as many traditional cultures do. My parents also owned hotels and made food a very special part of that. As an adult, I studied permaculture, art and community development and worked as a cook. After having 3 children, food and health became central to my daily life. I wanted to provide my children healthy and sustainable food that would not 'cost the earth'. I came to The Growing Abundance Project in 2011 with a passion for food and the issues that were intersecting with corporate food production. Food is transported many miles to get to our plates but we are disconnected from our land and especially our farmers, who are increasingly paid less than they need to survive. As I learnt more about our current food systems, I felt increasingly angry that consumers are generally unaware of the inequity in those systems. 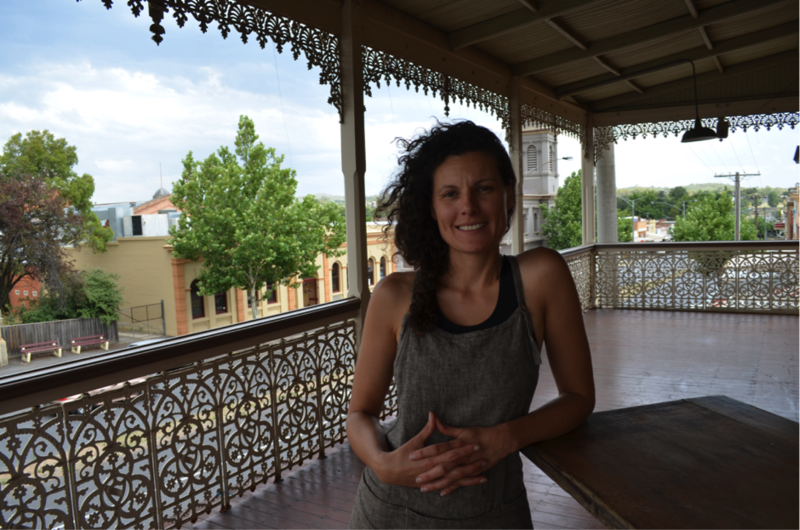 The Growing Abundance Project was spearheaded by local people in Castlemaine, Victoria, but it was Lucy Young who really held the seed of intention and the vision for what it could be to build a viable local food system. Over the years we have had many committed and passionate people who have contributed so much to the project. I am currently the café manager of our latest social enterprise, The Local. A café aimed at raising awareness of food related issues as well as financially supporting our Harvest Project that ‘rescues’ backyard fruit that would otherwise go to waste and redistributes back to the entire community for free, through schools, the Salvation Army and Community Lunch. We run a number of food related programs, all aimed at connecting our community through food and raising the possibility that we can all have an impact on food systems."